Two more FO’s for today and even more tomorrow! 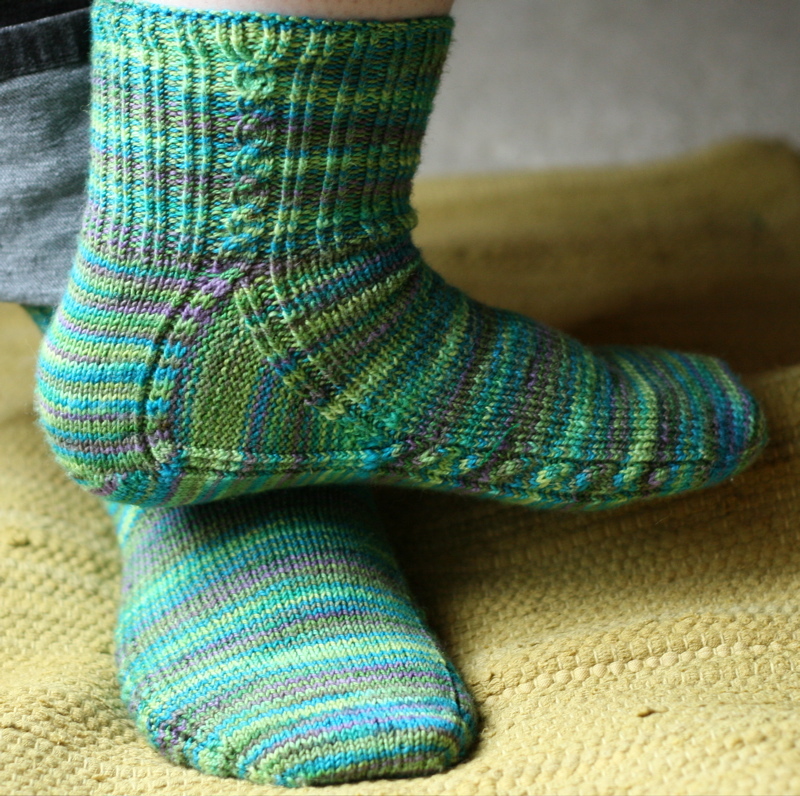 I cast on for these socks within hours of recieving this yarn in the mail. I’d been stalking without buying for awhile and finally broke down. These only took a couple of days and I made them pretty matchy matchy within a milimeter or two. These are Brainless (Rav Link). My mom and I had decided to do a KAL together. When she got the heel she bailed and I kept going. These are only my first pair of this pattern and I really enjoyed it. It was simple but kept me interested the whole time. It was a fairly quick knit and I would knit it a third time in a heartbeat. Prev FO’s and new yarn. Next This time I have an excuse!